In Safe Haven , a mysterious woman Katie shows up in a small town called Southport, North Carolina. Katie is a beautiful young woman who tries not to become close with anyone in the town. Many questions are raised about her past. She becomes involved with two relationships reluctantly- one with Alex a widower with two young children and is very kind to her and another with a single neighbor, Jo. Katie slowly lets her guard down and starts to establish her self in the community and has become very close to Alex and his family. She is starting to fall in love with Alex but she is still haunted by her past that caused her to leave home and move to Southport. He neighbor, Jo gives her some support but Katie must decide if it is better to move on and move from place to place to protect her self or stay find a safe haven in the town. What will happen to Katie? Does she leave? I guess you have to find out to read the book. I have not always been a fan of romance novels or movies but I have found Safe Haven quite different. I have felt that some of the author's books to be your typical romance novels. There was romance, danger, and many twists and turns that kept me reading on. The novel was slow starting in the beginning but then I was able to get into the story quickly. I enjoyed the Narrator of the audiobook and it was easy to follow. The main character, Katie, had a dark past and she realizes that running away from her problems may not be the answer at all. I enjoyed the book. Disclaimer: I received a free copy of the audiobook for my honest review and I was not compensated for my review. I'm in need of a new audiobook - great to do while prepping/cooking T'Giving dinner! +1 Please enter me in your giveaway I love audio books! +1 I'd love to listen to this audio book. Hey! Good review, although I do think it is a little short. I've read two novels by Nicholas Sparks and both are phenomenal! I'm really trying to read more of his stuff. +1 Comment. Thank you for the giveaway! +1 Thank you for the giveaway! 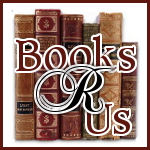 4 Like Books R Us on Facebook +2 yep, yep! I found this review to be intriguing and one that I think I would take pleasure in listening too. Thank you so much for hosting this giveaway.